A seafarer aboard an 80,000-tonne bulk carrier, the Villa Deste, contacted the International Transport Workers’ Federation (ITF) pleading for help. The starving crew claims to have no food and no onboard wages, and being fed on a $4 food budget per day. 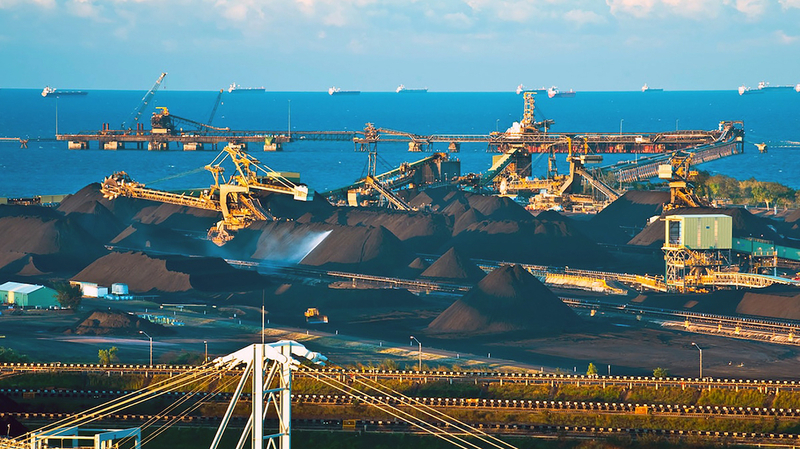 BHP is continuing to block ITF’s requests to inspect the vessel, currently at anchor at BHP’s Hay Point Coal Terminal in Mackay, north Queensland, which is due to berth tomorrow. “Seafarers are starving at BHP’s terminal in Queensland, and if BHP continues to deny the ITF access, ignoring these seafarers’ most basic rights to be fed and paid, then it is no better than the worst Flag of Convenience operators,” said ITF national coordinator Dean Summers. “BHP told media today that the vessel was not chartered by the company, but it’s BHP coal being sold and loaded onto the Ville Deste. To now claim that they have no responsibility for the conditions onboard these vessel when they arrive at their port, to load their coal, demonstrates an extraordinary failure to uphold basic ethical standards in their global supply chain. “ITF inspectors along with faith-based welfare providers have rights to access ships clearly defined in the international maritime security code and Australia’s national security legislation. BHP claim to have a process for access, but continue to refuse our requests and question our legitimate right of entry,” he said. The Liberian-flagged Villa Deste is owned by a Greek company Evalend Shipping Company S.A.. The ITF also inspected another vessel owned by the company, the Penelope L. on 3 July 2018 at the Port of Fremantle and found the same issues, employing seafarers on the lowest conditions possible and supplying decaying food to the crew. The ITF has previously contacted the Department of Home Affairs about BHP’s denial of grant access for ITF inspectors to inspect ships at Hay Point. The Department has simply responded saying “approval to access a port facility is the responsibility of the port facility operator” dismissing the ITF’s concerns. “By dismissing the ITF’s concerns the Department of Home Affairs either unknowingly, or by design, has sided with BHP to even further isolate and abuse seafarers’ rights,” said Summers. “While BHP ignores a rapidly deepening crisis at anchorage at their Hay Point terminal, and the Federal Government’s security agencies deny unions rights to access foreign ships in Australian waters, the Greek shipowners go about their business of abusing human rights and denying these allegations in the name of bigger profits. “The national security legislation clearly endorses our rights to access BHP’s terminal to protect and safeguard international seafarers after the Morrison Government, BHP, and their shady Greek employers have failed them so brutally. “The plight of these seafarers, and the failure by BHP to take responsibility for their welfare, highlights why it is essential that ITF inspectors are provided access through BHP’s terminal. ITF needs to ensure the seafarers are fed, their wages are paid and appropriate human rights conditions are in place. “We call on the Minister to immediately intervene in his Department’s maladministration and facilitate our inspectors access to the Villa Deste to answer the seafarers’ urgent call for help,” said Summers.